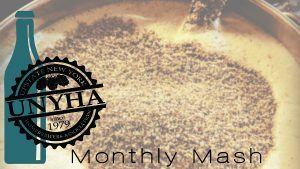 UNYHA is dedicated to sharing and broadening the appreciation of and knowledge about the brewer’s are within its membership and the public at large, through regular meetings and special events, in accordance with its philosophy of informed, mature and responsible enjoyment of homebrewed and commercially brewed beer. In this episode, we find recipes from 1999, once again brought to us by Jim Weiser. UNYHA’s 41st Annual Homebrew Competition! 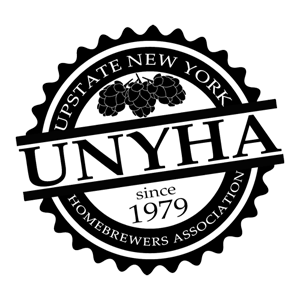 UNYHA IS PLEASED TO ANNOUNCE OUR 41ST ANNUAL HOMEBREW COMPETITION! The club gets together around 7pm on the 2nd Tuesday of every month at Swiftwater Brewing. These meetings are open to ALL current members, guests, and interested parties. Swiftwater’s kitchen is not open these nights, but beer will be available for purchase and UNYHA will provide pizza. Everyone is encouraged to bring their fermented beverages and share a taste with others if you like! The Upstate New York Homebrewers Association is dedicated to sharing and broadening the appreciation of and knowledge about the brewer’s are within its membership and the public at large, through regular meetings and special events, in accordance with its philosophy of informed, mature and responsible enjoyment of homebrewed and commercially brewed beer. We hold monthly meetings at 7:30 PM on the second Tuesday of every month at Swiftwater Brewing.